Content on demand video service will be available on all personal devices like smart phones, tabs or laptops. It would cost about Rs 25 lakh to equip a train with the content-on-demand service. Rajdhani, Shatabdi, Duronto and Humsafar trains will have this facility in the first phase. New Delhi: Soon, Railways will offer an array of popular films, TV serials and sitcoms in premier trains for its passengers to watch on their laptops, mobile phones and other devices. However, the entertainment package will come at a price as the public transporter aims to monetise the service based on captive eyeballs at rail premises as part of its stepped up efforts to garner more non-tariff revenue. Passengers have to pay a bit extra to avail the content- on demand service in select trains including Rajdhani and Shatabdi to begin with and it will be extended to more trains and stations later. 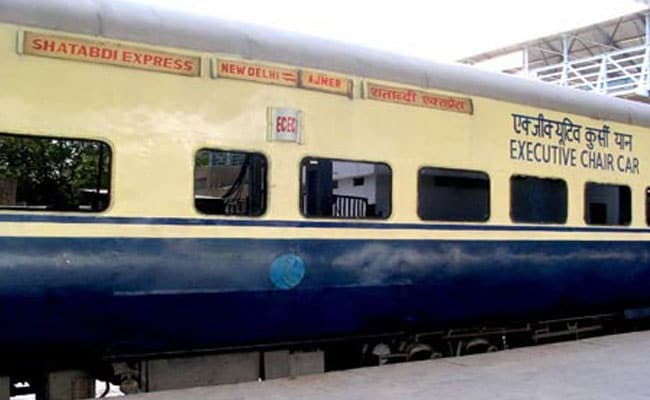 "Popular TV serials, films, musicals will be on offer in trains to make the journey enjoyable while at the same time the Railways will also earn," said a senior Railway Ministry official involved with the project. Besides films from Hollywood and Bollywood, there will be offers from regional cinema also. Many overseas serials and comedy shows have good viewership and they will also be part of the content-on demand offer, the official said. All Rajdhani, Shatabdi, Duronto and Humsafar trains will have this facility in the first phase, the official said. RailTel, the telecom arm of the Railways, will execute the content-on-demand project and accordingly float the tender shortly for awarding contracts. Besides video, content-on-demand will also offer radio service as audio package in trains and stations. But the audio service will be available for free. Railways, which enjoy maximum eyeballs and footfalls at rail premises, has finalised the content-on-demand policy. The policy envisages a service contract for a tenure of 10 years.